The Texas Tribune has launched an interactive reporting series looking at the way the current oil and gas boom has changed communities across Texas. From the Permian Basin to the Eagle Ford Shale of South Texas, “The Shale Life” introduces us to people whose lives are being directly effected by the boom, and places where life has changed dramatically in just a few years. Perhaps the most telling portrait of that change comes from the population shift in Loving County – once the least-populous county in the U.S., but now home to hundreds of daily oilfield workers. We spoke with the Tribune’s Energy Reporter Jim Malewitz about the series. 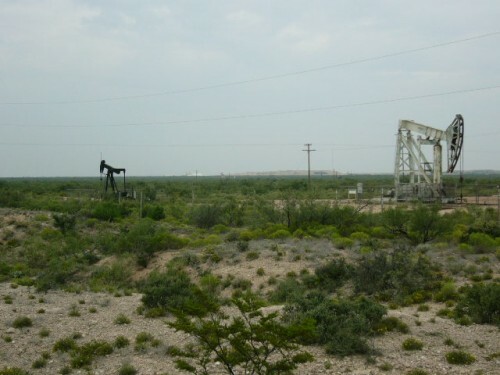 The reports in the series relied heavily on public data, including data from the Railroad Commission of Texas showing every drilling permit the commission’s issued since 1951. This entry was posted in KRTS News and tagged Energy, Environment, Jim Malewitz, Loving County, Oil and Gas Drilling, Oil and Gas Industry, Permian Basin, Railroad Commission of Texas, Shale Boom, Texas Tribune, The Shale Life. Bookmark the permalink.